3. Which blog sends you the most traffic? 4. Which blog has the best design? To be honest I'm not sure. I read most of them through a feedreader so don't often see the actual blogs. 5. Which blog has the best title? . 6. Which blog has the best images? Yaniblog Gayya Kuyusu. 7. Which blog has the most self pics? I can't think of any. 8. Which blog is most similar to yours? 9. 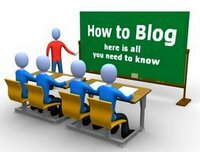 Which blog is most different? 11. Which blogger posts most often? 14. Which blogger lives the farthest away? Couldn't tell you. 15. Which blogger is most likely to become famous? 16. Have you ever dreamed about someone on your blogroll? 18. Have you ever kissed anyone on your blogroll?19. Who's the best kisser? 20. Who's the sexiest on your blogroll? 28. Who's the most creative? 29. Which blogger would be the life of the party? 30. Which blogger would you go shopping with? 31. Which blogger would you go hiking/camping with? 32. Which blogger would you have coffee with? 33. Which blog makes you laugh the most? 34. Which blog is the most heartwarming? 35. Which blogger do you think is the best cook?